1-2” x 3-8’+ Coprosma are members of the Coffee Family. Kukaenene is a low growing shrub found at high elevations (but can be grown a low elevation) with narrow, linear deep green leaves and attractive shiny black berries. 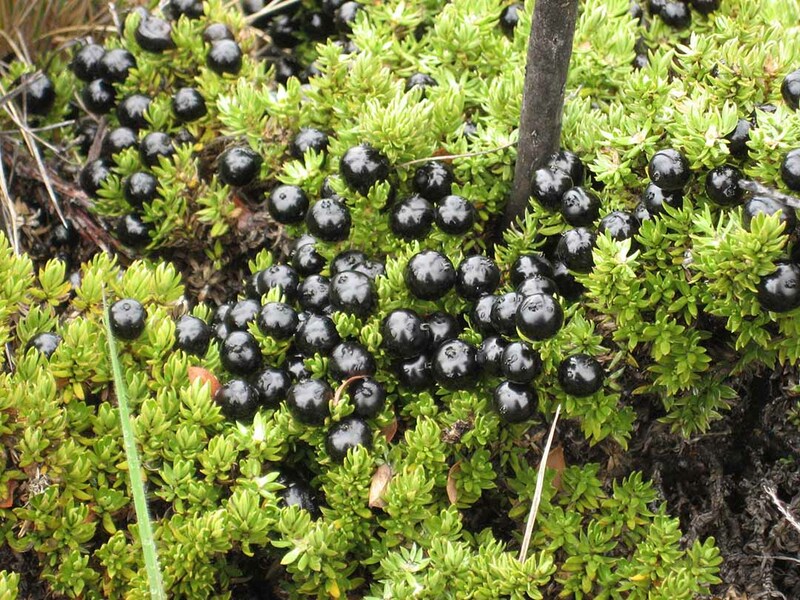 The Hawaiian Goose, the Nene, enjoy the black fruit but hikers should avoid them, as they are a laxative. Coprosma are dioecious, with creamy-white male and female flowers on different plants. A yellow dye could be made from the inner bark and a dark purple-black dye from the fruit.